I love a good mascara, and can’t resist picking a new one up far more often than necessary. I’ve got stupid lashes that have changed over the years. They used to be curly, long and lush and now I have one eye that is still that way, the other eye’s lashes are straight and shorter. It’s really infuriating! Anyway, L’Oreal False Lash Sculpt Mascara caught my eye. This mascara promise three effects, volume, fanning out at the tips of your lashes and then to tightline too. If you’re not familiar with tightlining, it’s lining the waterline which creates a fuller lash look, with no gaps. I usually use a powder kohl to tightline so the thought of being able to skip that (not that I do it every day mind you) is appealing. Okay so the brush is odd, and designed with tightlining in mind. It’s more of a comb really, and it’s wedge shaped with the bristles just appearing along the bottom of the wedge. To use, you just press the brush, gently, onto your waterline, then apply your mascara. I don’t like it sadly. I find it impossible to apply without making a horrible mess for a start. I get it all over my upper eyelids, and under my lower lashes too. I am a bit fussy about mascara applicators but this isn’t one of the easier ones to use. It does tightline but you need to take extreme care with it. Whatever you do, don’t blink. The mascara itself, is underwhelming. I get nothing like a false lash effect, but it does do is clump ridiculously easily. The first coat goes on well, but you don’t apply the second coat carefully and slowly, your lashes will stick together. Don’t even think about attempting a third swipe. In short, its not terrible, but it does require a lot of time and patience when applying, you can’t just quickly swipe this one on and look fabulous, and so for me, this isn’t any good. I want to quickly swipe a couple of coats of mascara so I can rush off and do the school run, without worrying about clumping and/or smearing. Sadly this one isn’t for me, and nor would I recommend it. However, don’t just take my word for it as I do seem to be in the minority, reviews for this seem to be excellent across the board. L’Oreal False Lash Sculpt Mascara is £6.99 and I bought mine in Superdrug. Really pleased to be blogging about this today. Allow me to introduce you to my favourite mascara ever. The mascara itself is formulated with argan and camellia oil meaning it conditions while you wear, and I’d imagine you’d have to go very heavy with it in order to get anything like crispy lashes. The shape of the brush is designed to offer curl and volume, while creating a feline flick, hence the name. You can seemingly just keep adding layers and it never seems to clump. It does as promised, and creates a feline flick effect, for me, my lashes curl more on the outer corner with this mascara, while still evenly coating each lash. It separates and defines each lash individually, but somehow avoids a spidery effect. The more layers you add (probably there’s a limit on this, I’ve gone as far as four!) the more defined the look, which is in stark contrast to the usual clumping you get with multiple layers of mascara. I think that’s about it, but what more could you ask for? The picture below is just a standard two coats, and I think you can see what I mean, each lash is defined, incredibly black and the extra curl (thanks to the brush shape) is there on the outer corner. Please ignore my unkempt brows, for about the tenth time I’m growing them out! I quite honestly love this and think its the best mascara I’ve tried but mascaras are very subjective, we all want different things from them, I love this, and it offers all I want from a mascara. I purchased this myself from Boots. It’s currently out of stock online I think, I can’t seem to get to it at all, however, it retails at £9.99, and for that price there is currently an offer that includes the L’Oreal Super Liner Perfect Slim Intense, making hte liner free. You can find that here. I’m a huge huge fan of hair oils and am never without one on the go. I use them literally every single time I wash my hair and occasionally in between washes depending on my hair and the actual product itself. My natural hair is very fine, but there is a huge amount of it and it’s wavy. This means that without product or styling my hair is like a big fluffy cloud. That said, I don’t like to style my hair at all. I’m not very good at it and with such fine hair I don’t think heat styling is especially good for it either so I do prefer to just let my hair dry naturally, only styling with heat on special occasions. So without heat styling, I need something to manage the frizz and fluff, and that’s why I won’t be without a hair oil. So long as I’m careful with the amount I use I don’t get the sense of product in my hair which is what I dislike about hair sprays, gels and mousses. Oils are just perfect for me. This new one from L’Oreal unexpectedly turned up in my post I was delighted to give it a go. Oil Precieux takes the form of a oil mist which is nice. It’s a very fine mist which makes it incredibly easy to use without accidentally going over board. Most oils I use come in a pump which means you manually have to distribute this over your hair and you can get too much in one spot if you’re not careful. With this, you can spritz all over your hair once and then just add more where necessary. In can be used on either wet or dry hair to condition, or to add a silky shiny finish and once it’s in your hair you just cant feel it at all. It’s lovely. It also has a gorgeous oriental scent, which makes it really pleasant to use. This has shot to my first place hair oil simply because of the spray. When I use a pump bottle I end up with oil all over my hands because the pump dispenses too much product and then looking around wildly for a towel to wipe my hands on. All of that is not a problem with this mist. It’s probably not the only oil mist on the market, I don’t know, but I’ve not tried another, but that combined with the gorgeous smell and the fact that the oil makes my hair frizz free and silky soft makes this a winner. 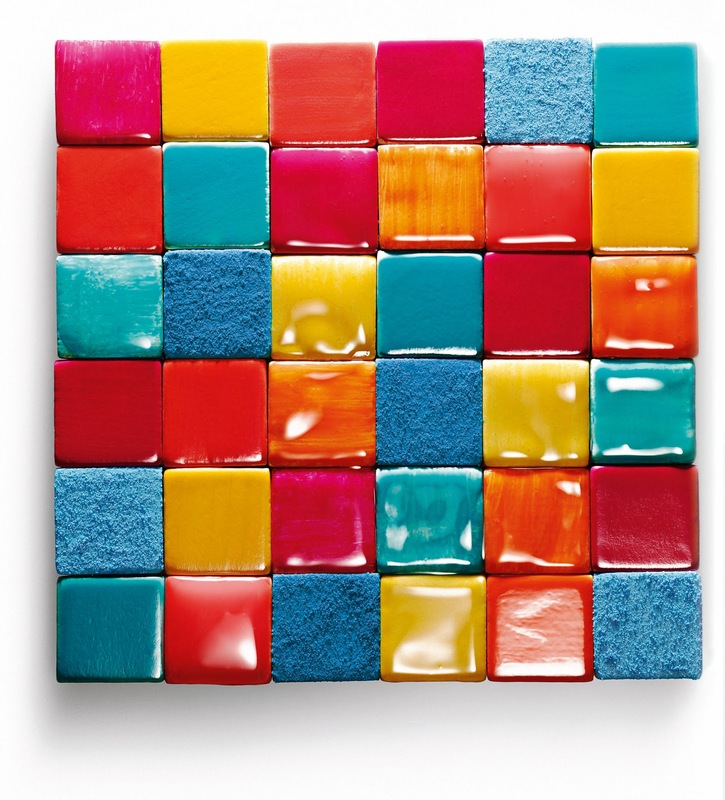 L’Oreal Color Riche Neon Pops! So i love with these beauties that popped through my letter box a week ago. Introducing the L’Oreal Color Riche Neons for Summer! I love the combination of colours but most of all, I love the Yellow! It’s just stunning on! Here’s how I’ve been wearing them. 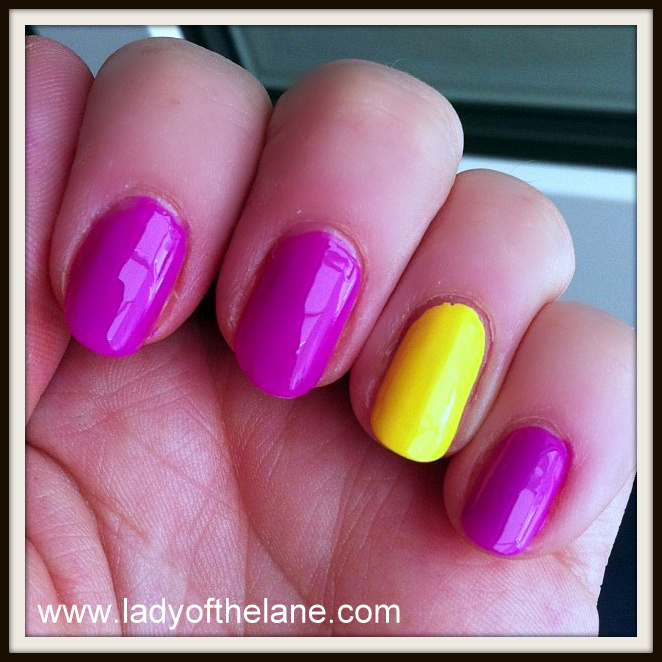 And here’s Flashing Lilac (purple) and Banana Pop (yellow). Please forgive the photograph, it was taken with instagram although there are no filters applied. I think you get the gist though. The gist is that these shades are awesome. I haven’t found these to be sheer like most neons are and that means you don’t need to bother with white underneath and the formula is a breeze. Just gorgeous nail polishes. The yellow is my favourite. It’s opaque, bright, not streaky and just gorgeous. The polishes came with the most amazing balloon! Our balloon escaped out of the back door and there were tears from Lola and I nearly cried too. We loved it so much! The L’Oreal Color Riche Neon Pop polishes are £4.99 and available from Superdrug and Boots (although I can’t see all the shades on the Boots site). The fabulous balloon came from the wonderful Bubblegum Balloons. 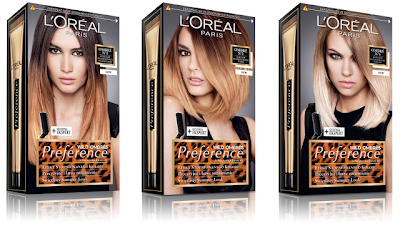 So recently I’ve been hankering for something a bit more obvious….and that’s when I got my heart set on the new L’Oreal Preference Wild Ombres at home dip dye kit….and I got tempted. I’ve not dyed my hair at home for years and years but I used to do it all the time so I was pretty nervous but I decided to just go for it anyway. It comes in three variants, for Blonde to Dark Blonde, Dark Blonde to Medium Brown and Light Brown to Dark Brown and I opted for the Dark Blonde to Medium brown variation since my ends were already lightened. Couldn’t find it in Boots or Superdrug, totally sold out everywhere, so I had a look at an out of town Boots and managed to grab it there. So the effect I was looking for was the middle one below. Only a little lighter than it currently is, but hopefully a little more obvious. And the results, first my untouched roots and then the lower sections…considerably lighter! There is a copper tone to the blonde, but it’s not bad at all, not what I’d call ginger, and I must stress I took all these photos under electric light late at night, so everything is leaning a little more orange than it actually is. But here’s how my hair looks all together. Anyway, one cautionary word, after doing this, even with the super conditioning shampoo that comes with it, my hair feels pretty dry and is going to need lots of tlc for a while so I wouldn’t recommend at all if your hair is already damaged. You can buy online at Boots. This is it. Holy Grail mascara for me. The search is over. Lash Architect 4D supposedly supplies a false lash effect, leaving lashes volumised, lengthened, texturised and curved and contains sculpting fibres. I dunno, really I just love how it looks on my lashes. It’s gorgeous! These days mascara brushes come in all forms and sometimes these can seem a little gimmicky, this seems a bit old fashioned, it’s long, narrow, bristles (not rubber) and slightly angled. I have quite thick lashes and I find with a lot of thickening mascaras my lashes can look clumpy and spidery but this seems to seperate, give me great definition and stays put all day. I don’t really have much more to say about this, I just love it! I must add that I haven’t used it on my bottom lashes, I don’t like obvious mascara on them, it’s Clinique Bottom Lash mascara instead. Love this stuff. £10.99 but you can get it for £7.99 from http://www.boots.com/ at the moment. I aboslutely love that image up there! It’s so Summery. And so is the entire range for the L’Oreal Summer Collections. First up the L’Oreal Resist & Shine Tropical Collection Nail Varnishes.There are five fruity colours, Wonderful Watermelon, Dapper Dragon Fruit, Popping Pomegranite, Perfect Passion Frui and Feisty Fig. I can’t be sure which two I received as they don’t have the names on them! I would hazard a guess at Wonderful Watermelon and Feisty Fig. They don’t look like they do in the bottles though. Not in a bad way. The orange is fab on my toes at the moment and it’s a coral toned orange and the berry shade isn’t quite as dark and a bit more pink than the picture, somewhere between the top and the bottom picture, colour wise. The wear is excellent. £6.12 each. The Glam Shine Fresh lipglosses in Aqua Curacao, Aqua Lemon Tonic and Aqua Lychee. There are various other products in the line, including 6 hour lip glosses and eyeshadows. Very nice! Available from the usual stockists nationwide! I’ve never used a face primer before? Is that a heinous beauty crime? I don’t know. I’ve never really used one or seen the need for one to be honest. But of late I’ve been looking at my pores and fine lines and thinking it’d be nice if I could do something more than I already do to camoflage them a bit. And so I spent £14.29 buying the L’Oreal Paris Studio Secrets Smoothing Resurfacing Primer. It has four of five stars on the Boots website and some decent reviews so seemed as good a place as any to start. The product description certainly made it sound like it was just what I was after. Claiming to be inspired by professional make up artists, it masks wrinkles and uneven textures in the skin, making the complexion feel smooth, soft and velvety. You are supposed to use it on shadowy areas such as under the eye, and on the least smooth areas, such as the forehead, sides of nostrils and around the mouth to stop lipstick running. Well first things first this product does feel remarkable to the touch, and indeed as described, velvety, it’s beautiful. I should have properly read the description before I bought it though since I was hoping it’d work on my nose which has some rather obvious pores, but it doesn’t suggest using there. I ignored the instructions and put it on my nose anyway, all I have ended up with is clumpy foundation on my nose and I’ve tried two different foundations with it. It looks awful. It doesn’t do anything on those ravines I have on my forehead either. It does do a decent job of the smallest lines around my eyes, but I need it to do more than that. Not impressed. If anyone wants it, £10 inc recorded delivery, used twice. My search for a primer to minimise my pores continues! I was just sitting here the other day minding my own business when these lipsticks popped through my letterbox. Now, I wasn’t expecting them, I hadn’t asked for them, they were a total surprise. I haven’t fully formed my views on L’Oreal but thanks to THIS post over at London Beauty Review I am a little clearer on their current position on animal testing. I took the decision that I would review these products. So here we go. There are four lipsticks in this new range. Sparkling Rose, Freshly Rose, Bright Cocoa and Beamy Plum. I was sent Freshly Rose and Sparkling Rose to try. That’s Sparkling Rose followed by Freshly Rose. If you look closely, you can see a slight stripe through the middle which is the serum part. They really are a lovely formula, super moisturising. Stayed put while I was drinking my coffee and eating my muffin too. Here’s my face of the day featuring Freshly Rose. These retail at £8.49 each and I must say they do feel rather high end. 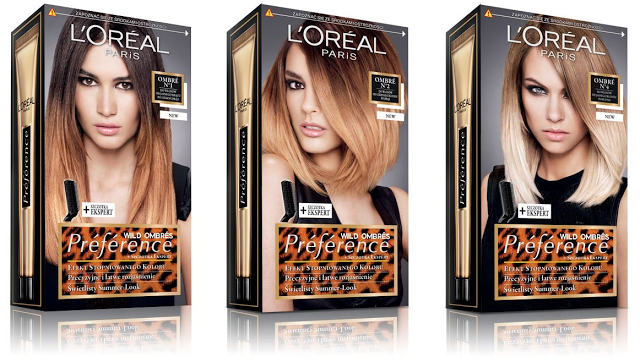 These are really nice and if you haven’t boycotted L’Oreal, then I do really recommend them.